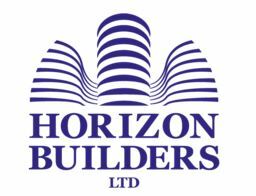 Horizon Builders Ltd - Builder, Painter/Decorator based in London, Greater London. The Horizon Group London Ltd provides a meticulous building, decorating and property maintenance service. Horizon Builders provide a meticulous building, decorating and property maintenance service. Our experienced team can build from scratch, refurbish, repair, maintain and improve your property – whether it is a flat, house, commercial premises or an apartment block. Horizon Maintenance and Property Service will keep your commercial, residential, school or office building in line with all Health and Safety directives. We offer full-service external and internal maintenance contracts, undertaking regular inspections and repairs. Horizon Decorators are fully-trained professional painters and decorators. We work in corporate and public buildings as well as private homes, and undertake external and internal paint finishes plus plastering, tiling and flooring.